An update to Pushbullet is rolling out today that will give you increased access to files when attempting to access them remotely, along with the ability to group text from your desktop computer. 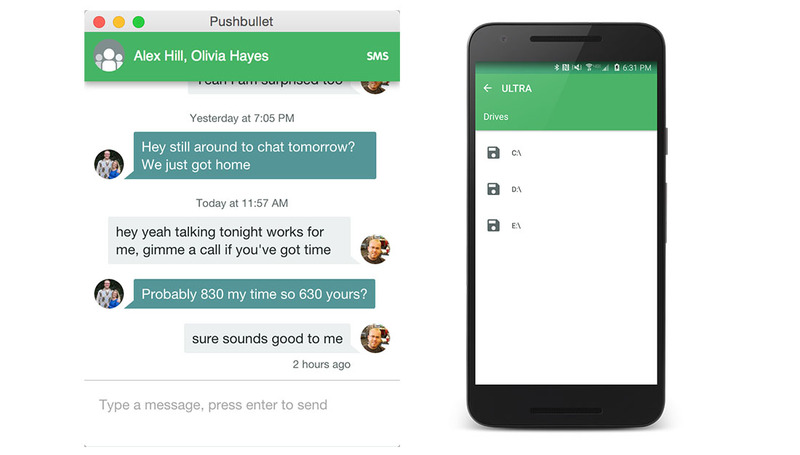 After receiving an update to the Android Pushbullet app (the update should be live for all), Pushbullet’s Chrome extension, website, and Windows desktop app will let you reply to group text messages. Their apps for Safari, Firefox, and Opera should be available soon. This has apparently been a popular request, so get excited, or something. In the last update, Pushbullet introduced remote files access from anywhere in the world, but they seem to have left that access locked to a single drive. Power users, the type of people who use this feature in Pushbullet, wanted more, including access to other drives. Today’s update allows you to do just that. Of course, this remains a Windows-only feature at this time.